Laurence Brahm is a global activist, international mediator, political columnist and author. He is the leading advocate of a fresh development paradigm – The Himalayan Consensus – an innovative approach to development. The Himalayan Consensus emphasizes empowering people with local pragmatism in place of broad sweeping globalized ideology and theory. The Himalayan Consensus evolved from 2006 onward, as Laurence Brahm embarked on integrating his own experience pioneering a social enterprise in Lhasa with different experiences across the Himalayan range -- from Pakistan, Nepal, Bhutan to Bangladesh and then Sri Lanka -- weaving these collective experiences into a new paradigm that calls for prioritizing environmental protection, ethnic diversity, and cultural sustainability in the context of glacial retreat due to climate disruption. In 2007 Brahm penned a monthly column entitled "Himalayan Consensus" in Asia Review magazine, writing and speaking extensively on the concept of a Himalayan Consensus. In March 2009, the concepts of the Himalayan Consensus were crystallized in Brahm’s book, The Anti-Globalization Breakfast Club: Manifesto for a Peaceful Revolution, published by John Wiley & Sons. 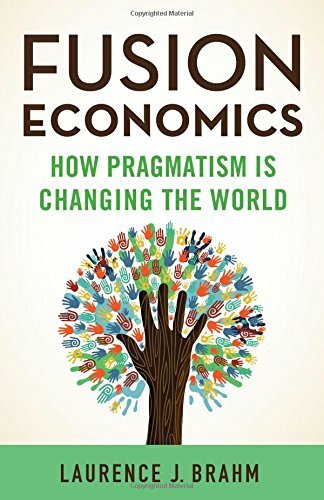 The ideas of Himalayan Consensus were further expanded upon together with the African Consensus and New Earth Consensus movements in his latest book "FUSION ECONOMICS: How Pragmatism is Changing the World," published by Palgrave Macmillan in New York and London in 2014. Brahm's search for a fresh economic paradigm began during the years when he was embedded as a central bank adviser in Vietnam and Laos in the early 1990s, during which Brahm vociferously opposed the “shock therapy” policy prescriptions of the Washington Consensus. During these years, Brahm drafted the overarching financial reforms and accompanying policy legislation that led to economic take-off and continues to serve as the development framework for these countries to this day. Two decades later, Vietnam and Laos are examples of the success of Brahm’s policy advice, in contrast to the graveyard status of the “shock therapy” method. 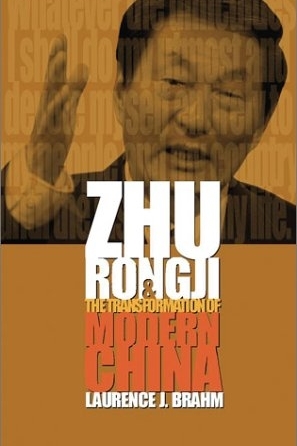 Brahm went on to advise Cambodia, Mongolia and ultimately China’s "Economic Tsar", former Premier Zhu Rongji, during the critical years that Zhu supervised China’s transition from planned to market economy, creating the economic miracle China has today. A member of the inner circle of Zhu’s economic advisers and a trusted personal friend to several of China’s leaders, advice provided by Brahm was regularly sought behind China’s state-owned enterprise, banking, and monetary reforms that paved the way for China’s entry into the WTO in 2001. During these years, Brahm coined the “China Century” theory which juxtaposed the doomsday “China Collapse” view held by certain scholars in the West. Brahm also documented the reforms that he personally witnessed in his biography of Zhu. Following China’s entry into the WTO in 2001, Brahm considered his work on economic and monetary reform policy in Beijing to be finished, as the reform process would now be magnetized by global integration through the WTO as opposed to being driven by policy decision-making of individual leaders. Brahm shifted his focus from coastal China to the western regions, moving to the Himalayan Plateau and seeking alternative economic experiences relevant to rural poverty alleviation and environmental protection as opposed to urban industrialization. At this point, Brahm’s previous work as alternative developmental advocate evolved into that of a global activist. Since 2002, Brahm has refused any further engagements with multinational corporations as investment adviser and strategist and moved from Beijing to Lhasa, where he began an extensive program of heritage building restoration, micro-investment empowerment for marginalized women and the handicapped, medical outreach programs (including establishing clinics in monasteries and campaigns to rid blindness among nomadic and poor populations), and the first free education Montessori school in the Tibet Autonomous Region. With Bhutan Prime Minister Tshering Tobgay. Brahm’s extensive writing and film documentation of experiences on the Tibetan Plateau during the years 2002-2006 emerged in a book trilogy of Himalayan travelogues: Searching for Shangri-la, Conversations with Sacred Mountains, and Shambhala. These were followed by a fourth book (New Age Sutra) and two art theater films (Searching for Shangri-la and Shambhala Sutra). These works expressed Brahm’s multifaceted concerns over environmental protection, ethnic identity, poverty alleviation, income gap redistribution, and promotion of world peace. From 2011 he divided his time between the Himalayan region and Africa where together with West African rap star and activist Didier Awadi, human and gender rights activist Alioune Tine, he initiated the African Consensus and participated in drafting the African Consensus Declaration that would be adopted by the African Commission on Human and People's Rights NGO Forum in Gambia later that year and go on to Rio+20 as the official statement on African Consensus by the African Economic Commission of the United Nations. In 2011 Brahm returned to the USA briefly to join the Occupy Wall Street movement and regularly led teach-ins in Zuccotti Park, joining the demands and economic working groups of the movement. Later he participated in the UNFCC Cop 17 negotiations and protests simultaneously. In 2012 Brahm was selected ScenaRio as one of the "100 World Opinion Leaders Advising Rio+20" and served as an NGO spokesman at the Rio+20 plenary sessions. In 2013 Brahm was invited to lead a policy working group for China's Ministry of Environmental Protection in drafting an overarching strategy "green print" to shift China from reliance on fossil fuels to renewable and efficient energy, under a European Union Dialogue frame agreement. In 2014 he joined the ICIMOD Hindu Kush Himalayan Assessment Mapping Program as policy adviser and member of the Himalaya Circle - Third Pole forum established by Iceland's President and hosted by Bhutan's Prime Minister Tshering Tobgay.